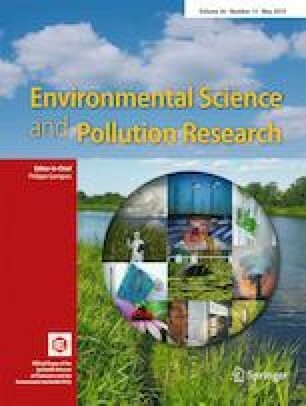 Extended stochastic impact by regression on population, affluence, and technology model incorporating ridge regression was used to analyze the driving mechanism of energy-related CO2 emissions in Kazakhstan during 1992–2014. The research period was divided into two stages based on GDP of Kazakhstan in 1991 (85.70 × 109 dollars), the first stage (1992–2002), GDP < 85.70 × 109 dollars, the stage of economic recovery; the second stage (2003–2014), GDP > 85.70 × 109 dollars, the stable economic development stage. The results demonstrated that (1) population scale and the technological improvement were the dominant contributors to promote the growth of the CO2 emissions during 1992–2014 in Kazakhstan. (2) Economic growth and industrialization played more positive effect on the increase of the CO2 emissions in the stable economic development stage (2003–2014) than those in the stage of economic recovery (1992–2002). The proportion of the tertiary industry, the trade openness, and foreign direct investment were transformed from negative factors into positive factors in the stable economic development stage (2003–2014). (3) Due to the over-urbanization of Kazakhstan before the independence, the level of urbanization continued to decline, urbanization was the first factor to curb CO2 emissions during 1992–2014. Finally, some policy recommendations are put forward to reduce energy-related carbon emissions. This work was supported by the Strategic Priority Research Program of the Chinese Academy of Sciences (XDA20010301), Jiangsu Natural Science Foundation (BK20181105), National Natural Sciences Foundation of China (41771140), Autonomous Deployment Project of Nanjing Institute of Geography and Limnology, CAS (NIGLAS2017QD12).